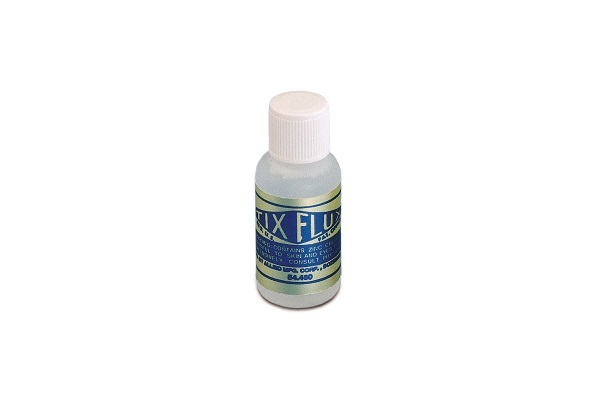 Top » Tools » Soldering Supplies » Solder and Flux » Tix Flux - 1/2oz. A non-corrosive flux, harmless to hands or clothing. Washes off with water even after drying. Works with any soft solder. 1/2 oz. bottle.